Oooo! I wanted to make something like this wgt, but this one is better! Where is Will Rose's original object? I'd love to see the script. Frogboy, whats the story here. Is this an original or is it just an update and if so whats the difference between this one and thisLink. Even discription is identical. What gives? BTW is script allowed to be used without permission or if permission is required can you tell me where or who to ask. ps I do realize one I gave link to is DX object so have you just exported that as a Widget and uploaded it? Yes. We're in the process of trying to start moving objects that should be widgets into the widget library. The author name will eventually be transferred to the original author (Will Rose -- currently WC doesn't support such transfers). I've been using this for a few days now, and it's excellent. Been using this for some time now and am getting a big kick out of it. Thanks!!!!!! 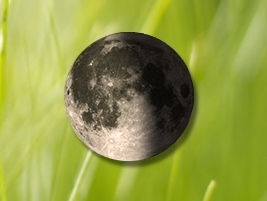 I love the moon, but its not set to the right moon phase. What am I missing? love it hey is there any way u can do a rain maker just like your snow one ? You make some cool widgets Frogboy. Anyway could you make one that opens and closes the CD/DVD trays. My friend uses yahoo widgets that have it. It's cool I want it. He keeps telling me to switch widget engines. I told him I'll find somebody that can do it. Please, I want to piss him off. I just wanted to thank You for this one, I got it a while ago, But when I first joined the WC community I wasen't very verbal, Since then I've been made to feel welcome and I've become more comfortable interacting with others. So, Thanks, Great job� �and sorry for the late comment. Does this automatically set with the computer's clock? If not, how do I adjust? Thanks much and so far, a wonderful addition to my desktop!